Sophisticated, romantic and airy French interior style is traditionally deemed feminine. But does the beauty have any gender? Especially considering that no one would like to lose a chance to feel the atmosphere of ultimate comfort and feel oneself involved in the spirit of the city of romance. 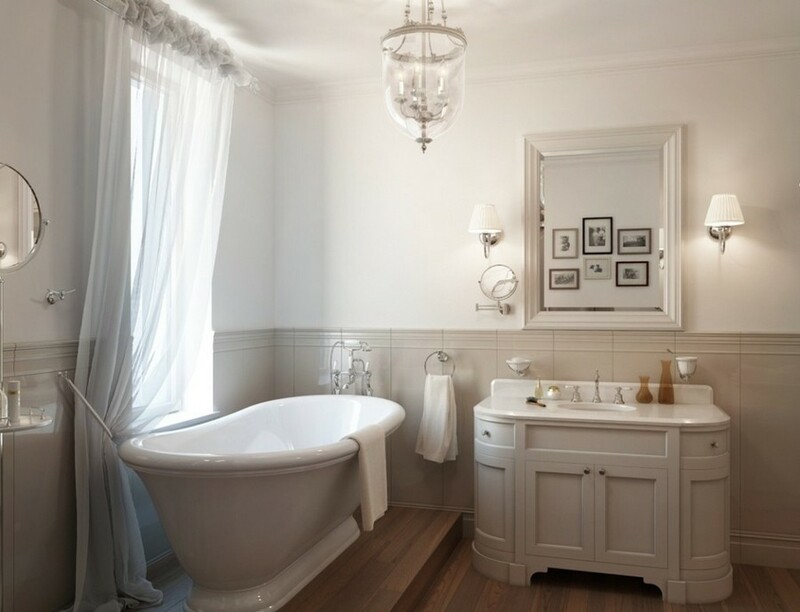 And while much has been said about bedrooms, living rooms and kitchens designed in French style, we know pretty little about how to create a bathroom in this interior style. 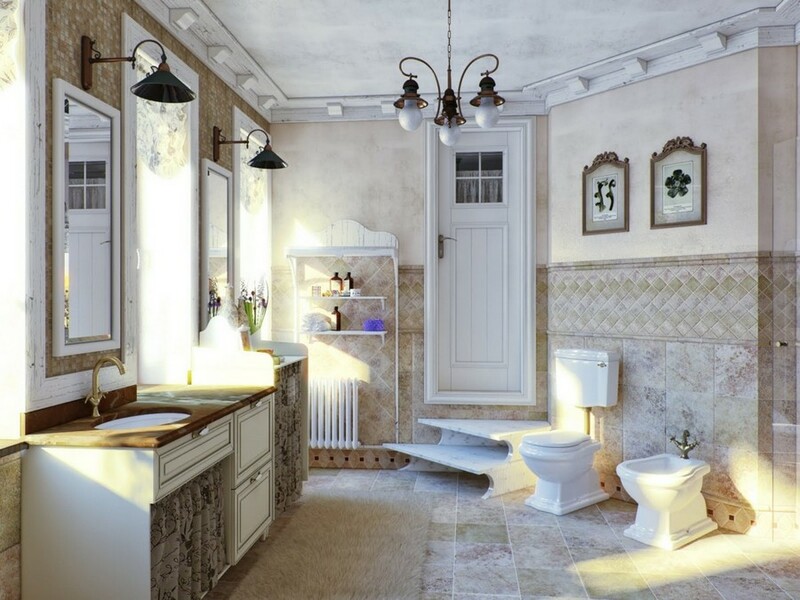 That’s why our today’s post is dedicated to bathrooms, which look like a piece of Paris in your home! French style can’t stand bright, frankly alarming colors and expressive contrasts. It’s more suitable for conservative personalities valuing traditions and preferring reserved elegancy to experiments. 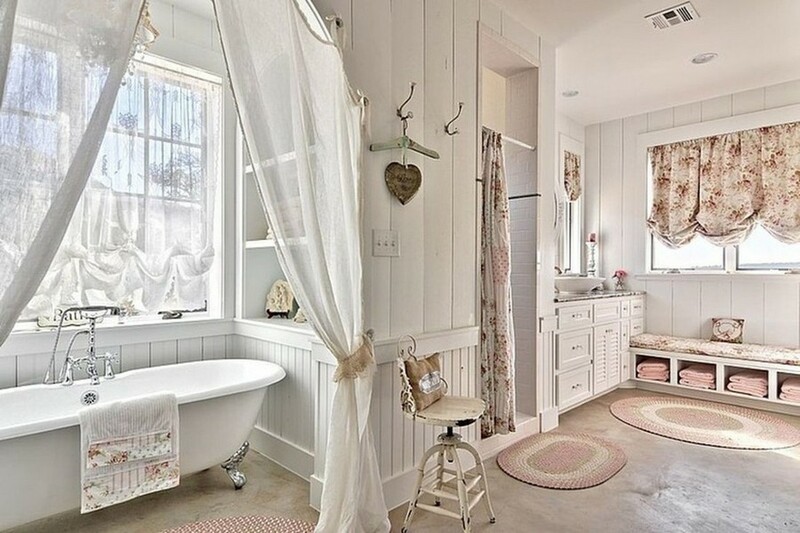 That is why pastel color range is the best choice for French-style bathrooms. Beige, light blue, lavender, pink, white and other similar tones perfectly blend with each other and create the sweet sense of early Provence morning. And the role of accents can be entrusted to metallic hues of silver, gold, copper and brass. Costly and eye-catchy flooring is a must of French bathrooms, and that is why the French opt for either wood or ceramic granite tiles. Walls are usually painted in some pastel color. Wall tiles are far less popular, but if you’re willing to choose this finishing material, it should be either monochrome, of some delicate pastel shade, or decorated with romantic floral pattern. And of course, a vital part of any French interior is aged wood, which can be used both in finishes and as a dominating furniture material. 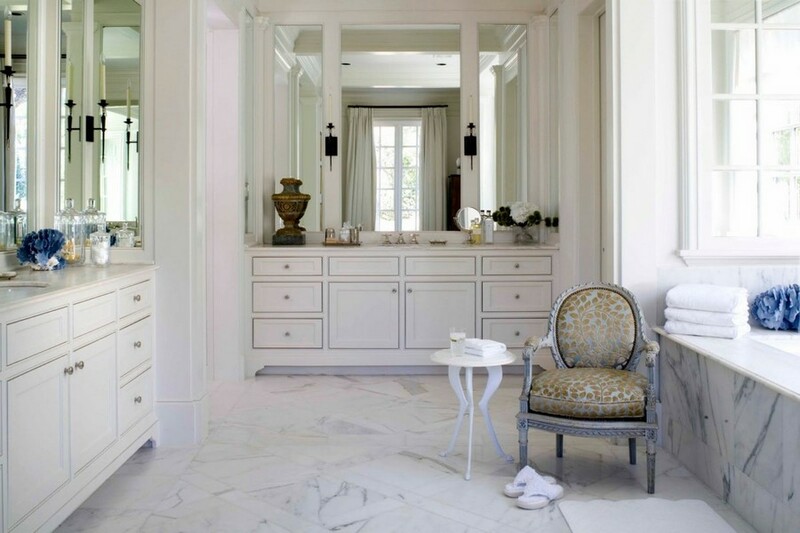 Refinement is the key feature of any French interior, and bathrooms are not an exception. Perhaps, you would never find such an approach to details in any other style. Even such a trivial item as a wash basin can be turned into a piece of art. At the same time there is nothing redundant – luxury is skillfully combined with minimalism. 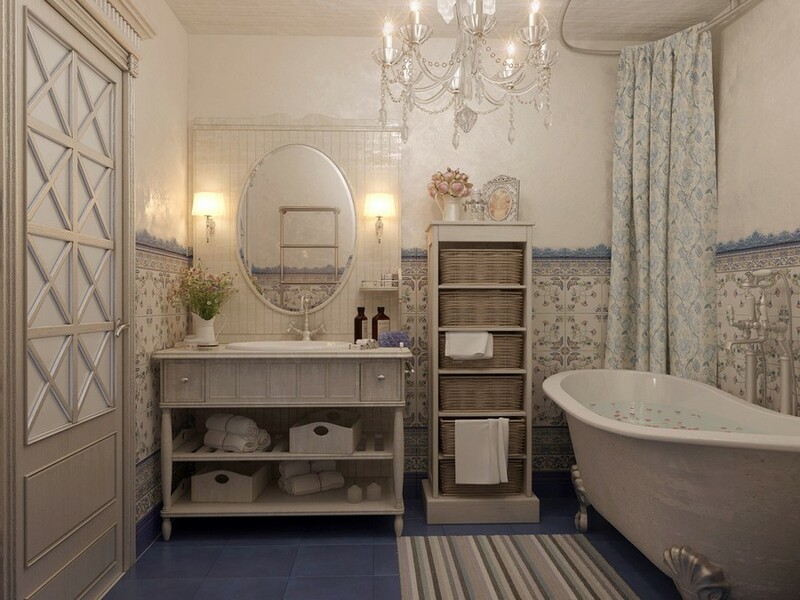 A very French feature is combination of solid wood and ceramics coupled with smooth lines of sanitary ware that seem to be inviting for relaxation. 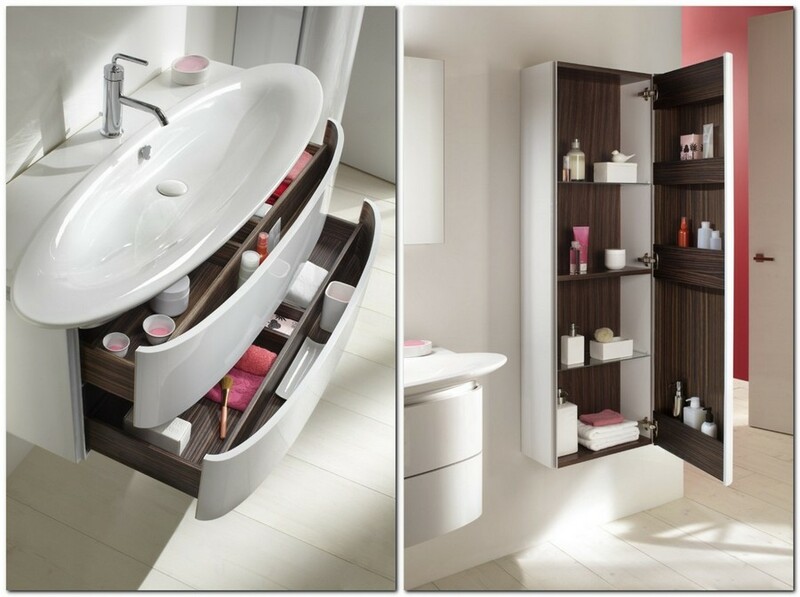 At the same time manufacturers mind convenience and ergonomics: vanity units should have enough room for storage of bathroom accessories. 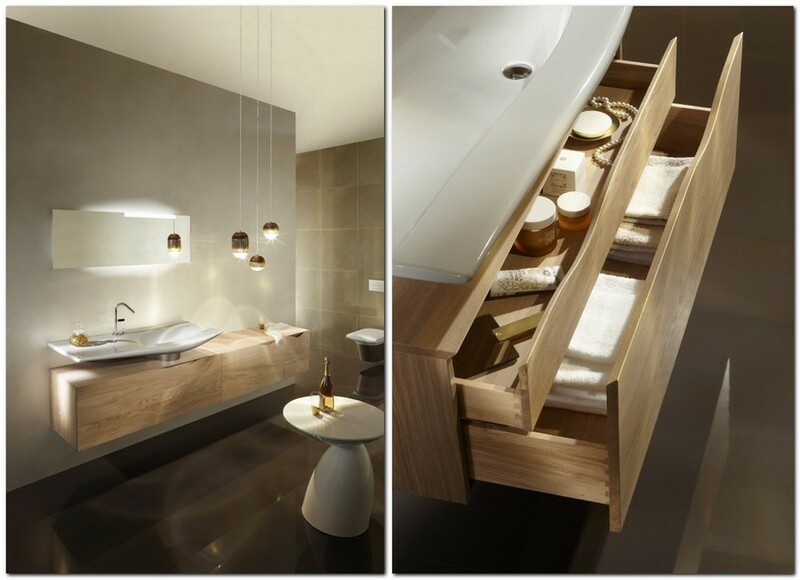 Sometimes wood can hide… inside bathroom furniture, while at first sight all you see is glossy finishes, smooth oval lines and minimalistic faucets. 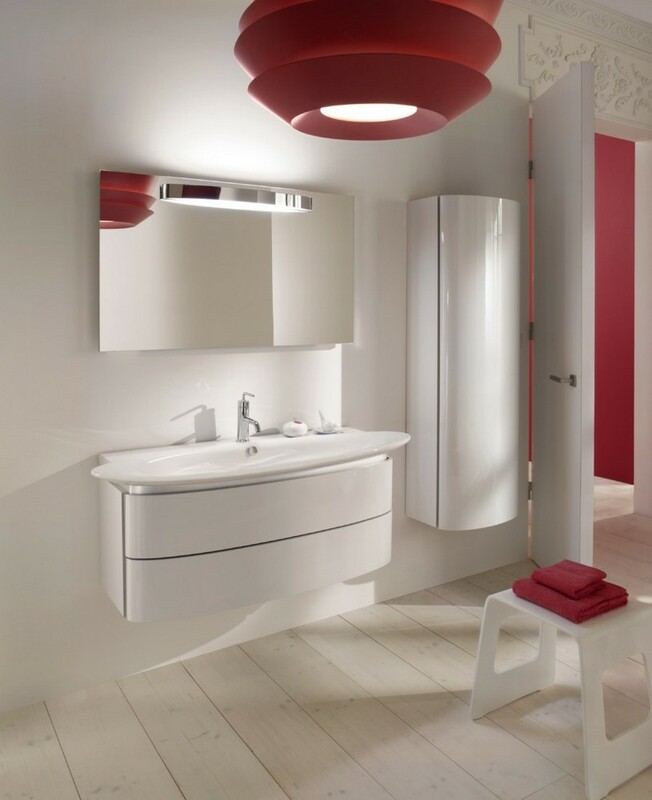 Diversity of lighting scenarios is an important part of French interiors and bathrooms in particular. You can never do with just one lamp in the middle of the room: mix sconces, pendant lamps and chandeliers and remember that their design must be big, shining and eye-catchy. In a French-style interior even a carved wall lamp coupled with a crystal chandelier wouldn’t look pretentious or odd. Remember that details are what makes French interiors! Every trivial detail can change a room beyond recognition. Every French bathroom is filled with accessories and pieces of décor, which complement each other and set the mood of the interior. Firstly, these are vintage-style pieces that should seem to be your great-grandmother’s: photo frames, chests, figurines. Also, don’t forget about flower vases and loads of candles. And of course, a big mirror in a beautiful frame is a must of French bathrooms. Finally, one more peculiar feature of French style is wrought elements: forged whatnots, lamps, candlesticks, towel hooks and so on – you should undoubtedly add them. Genuine French bathrooms always have windows, but unfortunately not every bathroom of ours may boast having at least one. However, even in the absence of a window much attention should be paid to home textile – shower curtains, rugs, and towels. They should be exclusively pastel and delicate. Give preference to light and airy fabrics, which perfectly reflect sunlight such as silk, satin and organza. But be careful with patterns: French style feels good only about monochrome fabrics or unostentatious floral ornaments.